Rockabye Baby! 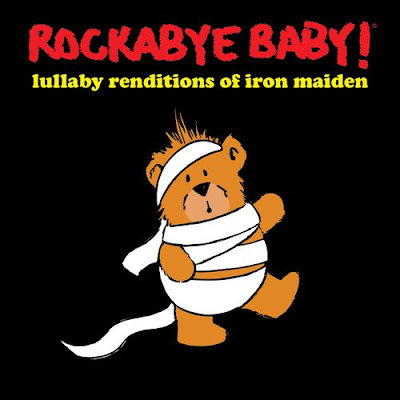 will release "Lullaby Renditions Of Iron Maiden" on November 4. The project is the latest in the series of child-friendly instrumental music from the label, which was developed by Van Halen singer David Lee Roth’s sister Lisa Roth in conjunction with CMH Records. "Haven't slept in days, mom and dad?,” says the label. “Don't run for the hills. If you've only got two minutes to bedtime, spin these calming versions of Iron Maiden's most crucial hits. No longer shall you fear the dark." The Rockabye Baby! series includes collections made from the songs of artists like AC/DC, Metallica, Aerosmith, Pearl Jam, The Beatles, and many others. The band’s first major UK arena tour in six years will be preceded next spring by a series of European arena shows starting in Antwerp, Belgium on April 22, marking the group’s first visit to the city since 1981. A dozen UK arena dates will begin May 4 at Nottingham’s Motorpoint Arena, with Shinedown opening all shows on the spring 2017 trek. "Lullaby Renditions Of Iron Maiden"